Your closet phoned. It’s begging for a springtime refresh. Since we can now finally call it spring after the March 20 equinox, the first order of fashion business is, of course, to update our wardrobes for the current season. Let me guess: You wear jeans nearly every day. Same. Which is why I’ve made it extra easy for you to jump-start your new-season looks and shopped out all the perfect spring tops to wear with jeans. 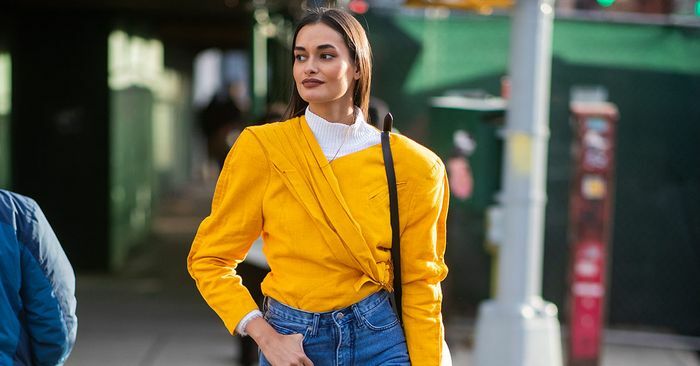 No need to go out and purchase a whole new wardrobe when the tops on offer from our Who What Wear collection are so good that you can simply throw them on with your favorite denim, and—boom—you have a spring-ready outfit. Easy, right? I love a good statement top with jeans because it’s one of the quickest outfits to pull off but looks as if you put way more effort into planning it than you really did. You have the jeans (and if you’re in the market for a new pair, we have you covered here), and we’ve got the tops. From romantic puffed-sleeve tops to the freshest floral prints and elevated basics like a white tee, keep reading to see and shop our favorite styles from our Who What Wear collection at Target and get inspired by how they’re styled on Instagram along the way.